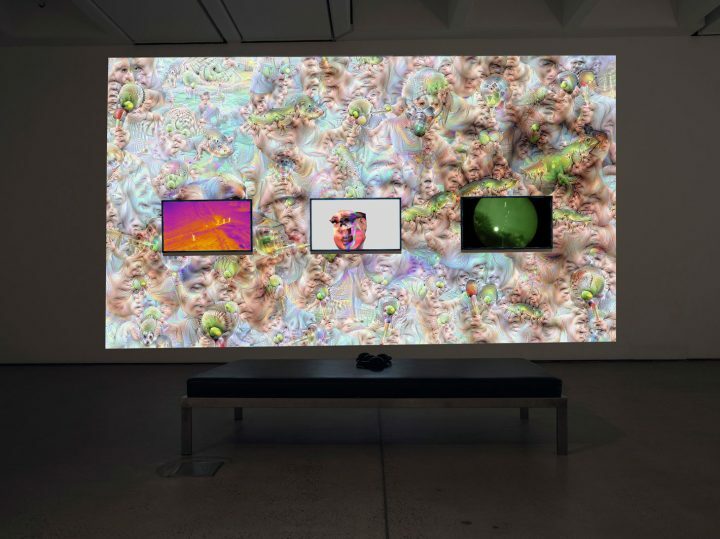 Four artists’ works were flagged by government censors for their experimental projects about artificial intelligence, genome modification, and bioethics. HONG KONG — Artists tackling global social issues have been banned by cultural censors from China’s upcoming Guangzhou Triennial. The 49 participating artists, who spanned 12 countries, from Western Europe to Latin America and beyond, were given no official reason why any of their artworks were abruptly pulled ahead of the triennial’s December 21 opening. Taking place at the Guangdong Museum of Art in Guangzhou, China, the sixth edition of the Guangzhou Triennial is titled As We May Think: Feedforward. It focuses on the relationship between ethics and science, amid constant technological advancements in the social sphere. Of the four artists impacted by the cultural censors, neither the artists nor the curators had any inkling on what triggered the censorship. Heather Dewey-Hagborg, one of the affected artists whose video “T3511,” co-produced by Japanese cinematographer Toshiaki Ozawa, speculated that Chinese authorities were nervous about bioethical issues. “It came totally out of the blue,” Dewey-Hagborg told Engadget. T3511 is a love story and experimental documentary that follows a biohacker who becomes obsessed with finding the anonymous donor whose saliva she buys online. Other artists, while not forewarned, had been asked to edit their work upon request from museum officials. Zach Blas and Jemima Wyman had been previously asked to cut two lines from their video “im here to learn so :)))))),” which made a reference to Adolf Hitler and an obscenity. The project is a four-channel video that revives Tay, the artificial intelligence robot created by Microsoft in 2016 but was shut down when it couldn’t distinguish racist online behavior. Ultimately, the Chinese cultural censors cut the video entirely. Unlike previous censored precedent, where all depictions or allusions to the 1989 Tiananmen democratic crackdown, Tibet, or negative portrayals of the Communist party are known to be taboo, works on technology and biotechnology typically aren’t. Additional banned works include “The Modular Body,” an online science fiction story by Dutch artist Floris Kaayk, which is about a laboratory-created organism comprised of human cells. Kaayk intended to use the idea of printing 3D human organs as a way to delve into the ethical questions around biotechnology. The other banned work was by British artist Lawrence Lek, who was to showcase part of a multichannel video work by now deceased German artist Harun Farocki. The triennial’s censorship falls into a similar pattern of heavy censorship that happened seemingly at random with photo submissions displayed in the 14th year of the Lianzhou festival, which opened on December 1. Dutch photographer Henk Wildschut, whose work explored the themes of food production in large population countries, was bewildered by the photos that the censors chose to remove. “They seem to have removed images at random — either that or the series has been misunderstood,” Wildschut told the Guardian.